The flagship workshop of the Best Negotiating Practices Program, "Create and Capture Value as You Negotiate," explores the fundamentals of negotiation process and strategy for business practitioners of all professions. Talented negotiators outpace their colleagues and competitors in business and in life because they build relationships that bring desired results. Watershed Associates researches your industry and interviews your team, developing negotiation case studies to address your challenges. Fundamental to our delivery is an adherence to learning objectives, in-depth negotiation fundamentals, and leading edge adult learning principles. What you get is an interactive negotiations workshop where participants have the tools to apply negotiation skills and strategies on the job. 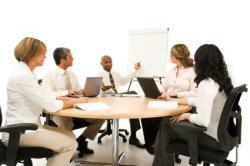 The negotiation workshop agenda is tailored from an extensive list of negotiating topics. Our delivery is filled with entertaining and informative anecdotes from our vast negotiating experience so you remember what you learn. You get helpful job aids, practice with role plays and case studies, and extensive debriefs of the cases. And you leave with tools in electronic format, access to our Negotiation Advice Service, and refreshers from our online Negotiator's Learning Center. The learning does not stop at the workshop door. Preview sample Fundamental Negotiation Skills content in our Negotiator's Learning Center. Watershed advocates collaborative, interest-based negotiations, often referred to as win-win negotiations. We provide participants a framework for negotiations that guides them through process and strategies in five phases: preparation, information exchange and validation, bargaining, concluding agreements, and execution. Participants learn the interrelation between the five phases as well, assuring that the negotiation results in more than a profitable agreement, but also one where compliance and performance are most likely. Our framework is supported by our Best Negotiating Practices®, a set of skills, behaviors and strategies participants need to move from fundamental understanding, to proficiency, to mastery in negotiations. Watershed workshops are substantive, skill building, interactive and tailored to each client, giving attendees the opportunity to learn from practice in relation to their work. A typical workshop contains the following components. Participants are introduced to the framework for negotiating. They overcome any reluctance to negotiate as they engage in exercises and role plays that demonstrate how to solve a party's interests rather than confront their position, and how to engage in bargaining that achieves creative solutions. Key modules are bargaining, preparation, and information exchange and validation, with a focus on the most critical Best Negotiating Practices®. We also focus on the relevance of common tactics to collaborative negotiations – how to recognize them, when it is appropriate to use them, and how to defend against them. Participants are guided in their practice of planning, probing, and development of creative concessions. A selection of optional modules that best meet the client’s needs, such as email and phone negotiations, cross-cultural negotiations, dealing with difficult, emotional and hostile negotiators, team negotiations, sources of power, internal negotiation for scarce resources, and negotiating styles assessment can be substituted in the workshop curriculum. Negotiator’s Reference Guide – comprehensive 250+ page Guide that follows the daily program and serves as an on-the-job reference, including job aids such as Common Tactics, Crunch List, Team Dynamics, Negotiating Across Cultures, Negotiating over Email and Phone, as well as Glossary of Terms, Recommended Reading, and others. Additional job aids – Tools for daily referral of Best Negotiating Practices® , as well as mini-articles that cover topics such as negotiation ethics, sole source negotiations, negotiating with a customer you can’t afford to lose, etc. Fantastic. Most useful training I have had in my 12+ years at the company. The instructor was energetic and enthusiastic. Great knowledge of subjects.